Nevada isn’t exactly the first place that comes to mind when choosing a diving destination, but there is a surprising number of good dive sites in the state. 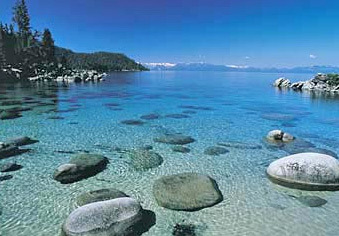 First, Nevada claims a good percentage of Lake Tahoe’s coastline, which is well known to be a great place to dive. But there are odd places here and there that you’d never think of, like Soda Lake, which hides the remnants of an entire processing plant, which is historically significant. At the South end, Lake Mead is reported to be a great place to dive. At this point I have never made a dive in Lake Mead, but I know there is a B-29 bomber lying at around 200 feet that I am dying to visit. I think there’s a painful permitting process for that one though. I’ll look into it. In any case, there’s diving in this desert. Who knew?